Bakord provides complete grocery online ordering and delivery system, which can be integrated into both web and mobile platform. You can easily boost your business with our Bakord. We have readymade solution for grocery ordering that business suitable for any on-demand services. Our grocery ordering script is applicable for both single and multiple vendors as like Instacart, grofers, freshdirect, bigbasket, HelloFresh, etc. We help you to start the business similar like Instacart. Our Bakord would be a perfect solution with multiple features and better user experience. Our application let you generate greater ROI for the business. All you needed to do it. Why choose our grocery online ordering and delivery software? The grocery ordering app can be seamlessly installed and set up to your system. Allow you to manage the complete system. Our readymade grocery ordering script can be easily customizable according to your business needs. 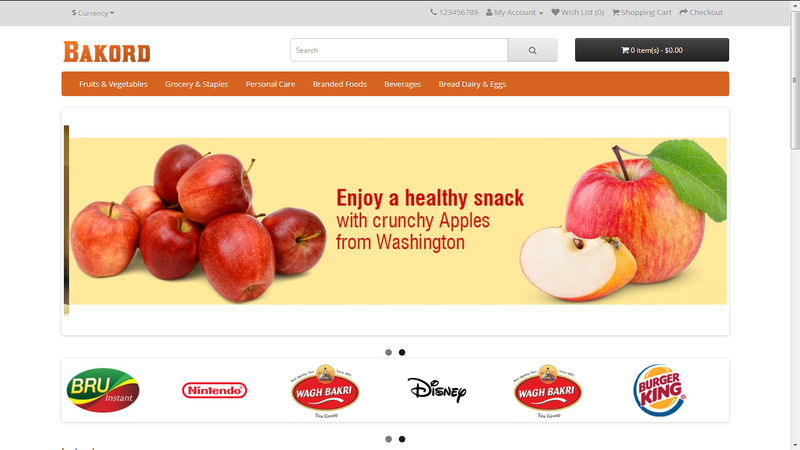 You get the online ordering system in your own brand name and logo. Also get design and themes of your choices. We have developed this application with the high coding standard. The application is highly secure and reliable for your customers to use. 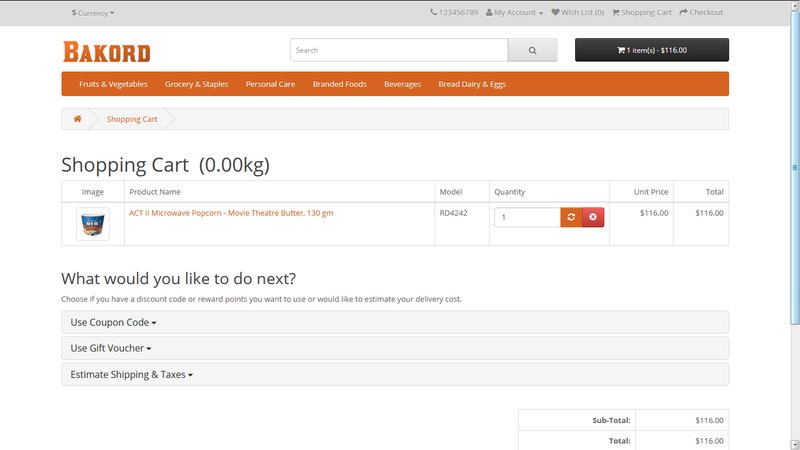 Bakord is very much suitable for any on-demand services like grocery, sweets & cakes, pizza, flower, etc. Customer satisfaction is our main objective we provide quick technical support after the delivery of the project. Kick start your grocery online ordering and delivery business like peapod, instacart, freshdirect, bigbasket. Enhance your business with our grocery ordering script. Admin has complete access to ordering and delivery system. Admin can enable or disable needed access to their restaurant at admin control panel. The dashboard lets to manage the restaurant and customers order. Store Owner’s control panel is notified with customer’s new order. Then customer order is processed, once done the grocery is delivery to the customers through delivery staff. The person who deliver the ordered items from stores time to time. The Customer can order grocery through the web or mobile app easily. The customer is provided with an user-friendly interface. The grocery gets delivery at the customer’s place through delivery staff. The complete details for ordered items and also total no of sales, by weekly,monthly,day report. Admin can also see the report for each restaurant. The settings are being updated by admin such us site name, site description, meta description,meta title,meta keywords,records display per page,google analytics code, logo etc. The complete reports are available such as customers, orders, etc. The category can be as main one like grocery, cool drinks, etc for main store. 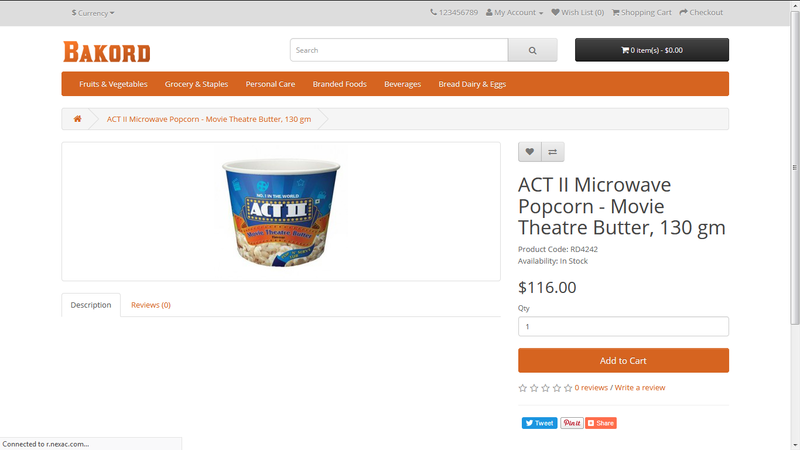 Offers that you can add your offer information of the store items and also can be possible to manage. Admin can add any number of stores with owner information. Each store can have separate login will be provided. Vendor can checked overall purchased items from the customers. Also can see customers viewed items. Invoice is against for payments. Driver can work for delivery the ordered item and he may be monitor(On the way location) by store and also customer. Drivers where you can add your complete information of the driver and also can be possible to view complete details of each driver. The driver can be managed by store user to assign the task. Customer can book the bulk order for group of friends, fesivals, family etc. Orders can be as complete, denied, processing, etc that can be changed by admin and also restaurant user. You can create multiple currency for your stores. The category can be as main one like grocery, cool drinks, etc for stores. Store is where you can add your complete information of the store and also can be possible to view complete details of each store. 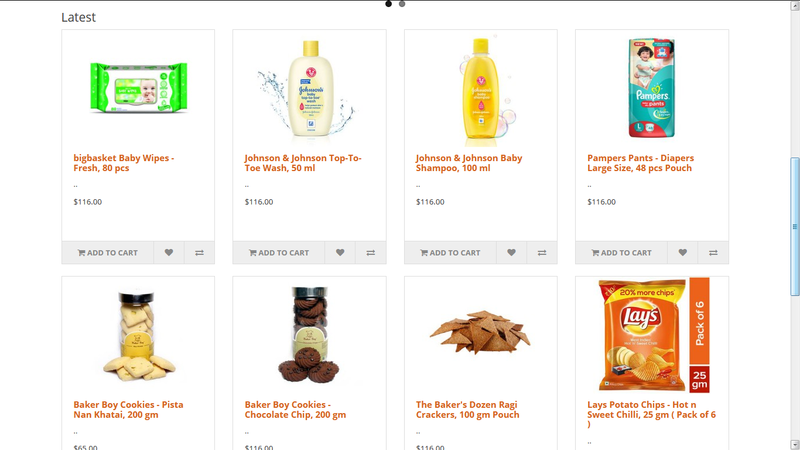 Products can be various for each stores, can be added many items that can be assigned to stores by the admin. There are many shipping gateways like flat rate, fedex, etc. Admin can setup any no of shipping method for user is to be accessed. Location where you can manage all country, city, state for all restaurant. Multiple languages supports for user. Customer where you can add your complete information of the customer and also can be possible to view complete details of each customer. Orders can be as complete, denied, processing, etc that can be changed by admin and also store user. Admin can contact to store for any clarifications. Admin can check the complete newsletters details. You can create review for respective store and also can be viewed all reviews. Showing the profile of particular driver. Orders can be as Delivered, Not accepted, Out for delivery, etc that can be updated by driver as status. Driver can have feedback of customers. Showing the profile of particular customer. The order history is available for ordered items by the particular customer. The favorites which was saved by customer.